If you've been reading recently you'll know that Ive been having some trouble with bronzers breaking me out. 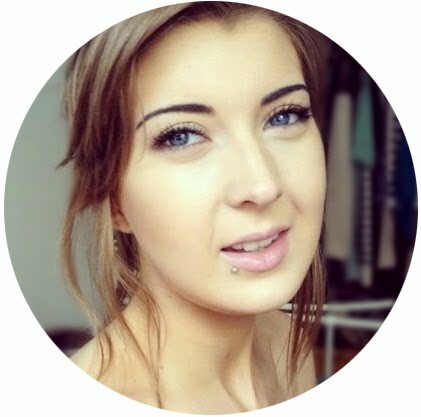 Ive been getting blemishy along my cheek contour lines, the outside edges of my forehead and particularly down each side of my chin which is a place Ive only just started to contour (got a bit of an egg face, need a little something to stop me looking like humpty dumpty). 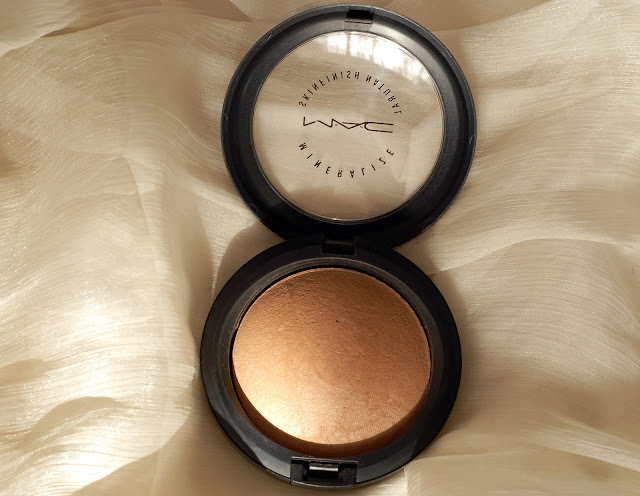 Ive been using the Mac Mineralize Skinfinish Natural in Light Medium for a couple of years as a setting powder but did fancy a change recently. I knew that this was a safe formula for me though and had the bright idea of purchasing the Medium Deep shade to use as a bronzer/contour colour. The colour is a warm brown that has a very natural tone to it as this can be used as a mineral foundation for darker skinned ladies. Its got a nice satin texture and isn't too drying as powders go. At first it applies quite sheer but the colour is quickly built up and Ive actually been having a little difficulty knowing when to stop as I'm more used to bronzers where the colour really needs loading up on the brush to get a deep enough shade on the face. I apply this with the Real Techniques Kabuki opened out which makes it quite quick and easy as theres such a big brush surface area to work with (did I mention my big egg face?!). I'm pleased to report that since using this Mac MSF as a bronzer my blemishes have nearly all gone and Ive barely got any new ones in the same areas at all. If like me you have trouble with bronzer breakouts, it might be worth trying a darker shade of your current setting powder if you know it doesn't cause your skin any trouble. I really like the MSFs and because of their non drying formula I think they'd be great for a range of skin types. I bought my Mac MSF Natural in Medium Deep from Debenhams on offer for £18.99, you can also find it at Mac stores and their online shop for £21. i really love mac products,thanks for new update I really liked it. Will be eagerly waiting for more. Stumbled upon your blog. MAC is so expensive here in my country. But anyway, lovely blog!